Dwell in the beauty of a World Heritage Site as you climb to the roof of Africa. The six-day trek spans five distinct vegetation zones, boasting rainforests, volcanic rock and glaciers. 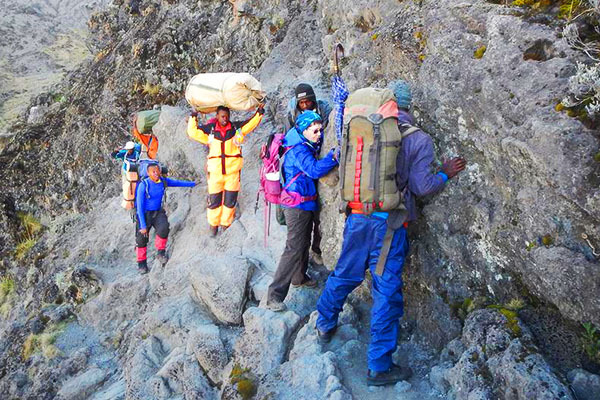 You’ll be guided up the Machame route, also referred to as the ‘Whiskey route’, given its tough reputation. This is no walk in the park. The trails are steep, the daily distances are long, and you’ll be sleeping in tents. Due to the nature of the route, you’ll find yourself ‘walking high, sleeping low’, allowing your body to gradually acclimatise to the altitude before you summit Uhuru peak at 5,895m. The panoramic views and diversity of habitats encountered will justify the intense physical challenge. We promise. 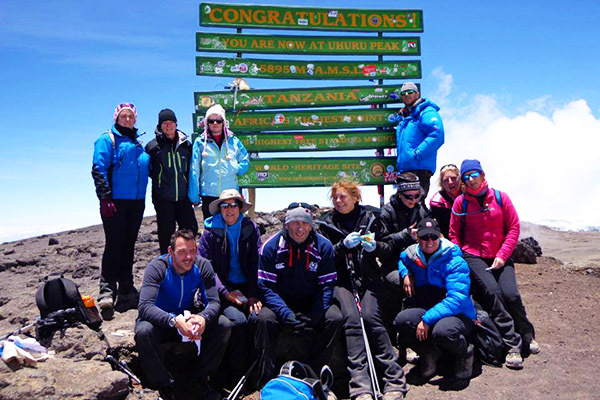 What’s involved in the Kili Trek? Six-days trekking, wild camping, covering a 90KM distance. You’ll quite literally feel on top of the world when you summit Uhuru Peak – the highest point in Africa. Piece of cake, right? 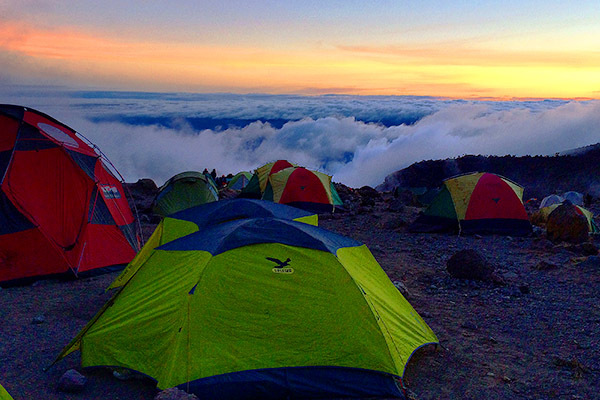 What’s included in the Kili Trek price? All flights from the UK and transfers while in Tanzania are included. First night’s accommodation in Kilimanjaro International Airport hotel and final night in hotel in Moshi. 3 meals a day whilst on trail and all meals in accommodation. A local doctor will be there in the case of any medical requirements. We’ll put you through your paces with an overnight camp in the UK prior to the trip. Great fitness benchmark. (£20 fee). We’ll supply 2- person tents. We’ll also provide a comprehensive kit list on sign up and will be there to keep you right. We’re with you every step of the way from sign up until you’re home. 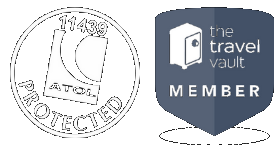 Our UK-based team are available 24/7.